Modern and Dynamic Built Roof Systems. 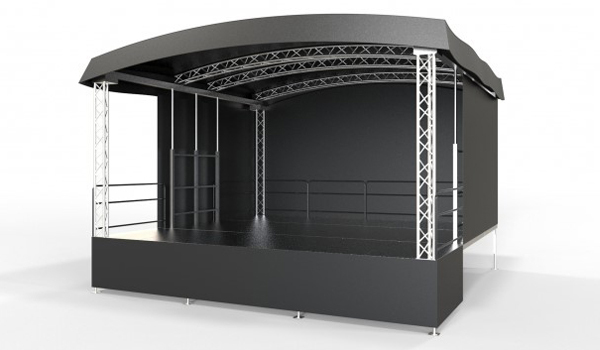 42sq/m Universal Mobile Stage Hire with classic arched concert stage roof. Sleek Quick Deployment Arc Roof System . We offer many PA and lighting packages from a large cross section of professional sound, lighting and visual equipment. We can tailor a specific package for your individual needs. From order through to collection after the rental is complete, you can be sure we will provide the best service with the best equipment possible. At Gig Stage we offer a wide range of outdoor mobile stage hire in the UK. We also provide lightweight aluminium trailer mounted stage structures that can access locations truck mounted units cannot get into. With on time delivery, trained personnel, fast setup times and our experience and knowledge you can be sure our mobile stage will provide everything you need. Generally requested for short-term hire, Gig Stage supply mobile staging for Seminars, Catwalks, Weddings and Corporate functions right through to 'Live' stages. There are many other applications and special projects which we can cater for across all levels of budget. Based in Sussex, we are ideally located to competitively service London and the South-East and with close motorway links we can also supply nationwide. 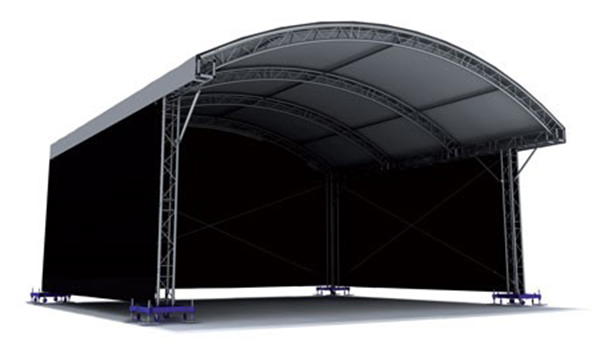 The Stagemobil LR is a universal mobile stage, 42m² with the classic arched concert stage roof. Its unique design makes it perfect for live music events, raised lounge for VIP's, classical concerts, boxing ring or for political discussions with full TV coverage, perhaps even a news studio. The Milos MR1 is a complete Stage Structure, 6 metres x 4 metres and comes with certification to comply with all outdoor event regulations. Milos are one of the largest truss manufactures in the world and offer a fantastic eye catching and superbly engineered product in their range of MR1 roof systems.